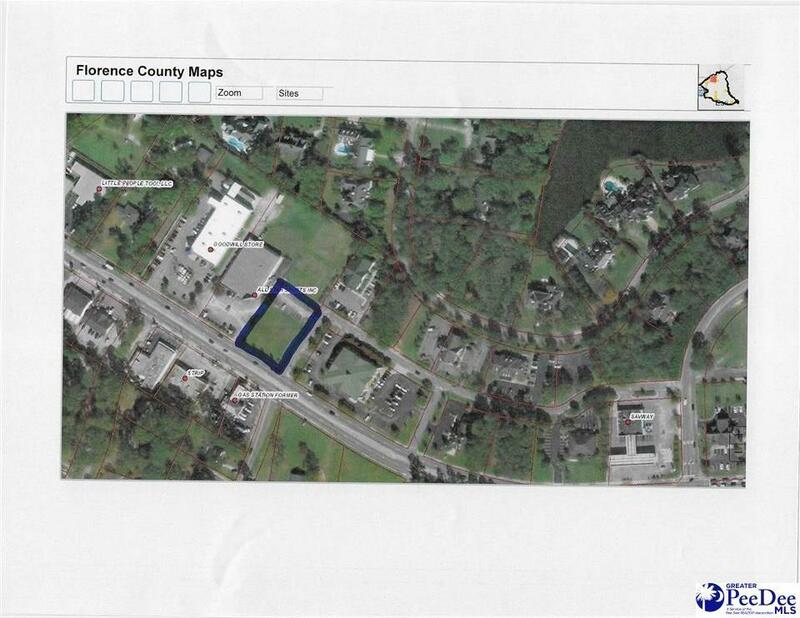 Nice cleared lot available to build on located on Second Loop Road and Woods Drive in Florence. Between All Star Sports and Webster Rogers and across the street from Tubb's. 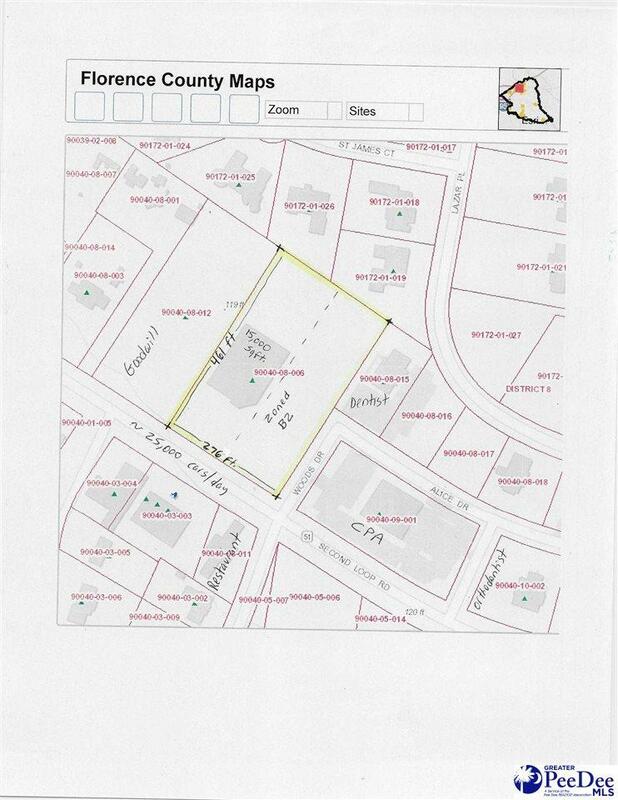 Approximately 138 feet of road frontage with a traffic count of 25,000 cars per day. 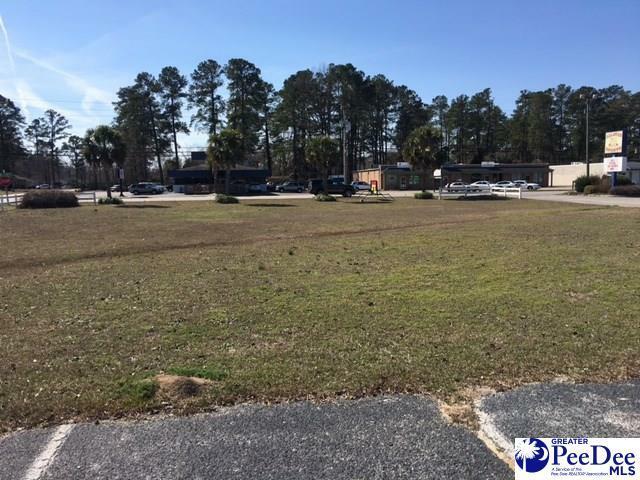 This lot may be purchased with the adjacent two parcels giving you 15,000 sqft of retail space under roof and 2.85 acres with 276 feet of road frontage on Second Loop Road. Lots have not been subdivided yet.